This exhibition brings together over 100 pieces collected in various parts of Brazil, along with equipment used in production, photographs and objects which provide inspiration. Fashion is also exhibited with the work of Paula Ferber da Fonseca, the Paula Villalonge brand, which is a partnership with lacemakers of the Centro Artesanal da Prainha de Fortaleza. Lace techniques highlighted include bobbinlace, filet, tatting, Irish crochet, Nanduti and Renaissance lace. It seems that a catalog will eventually be produced. Thanks to CRLG for drawing attention to this exhibition. 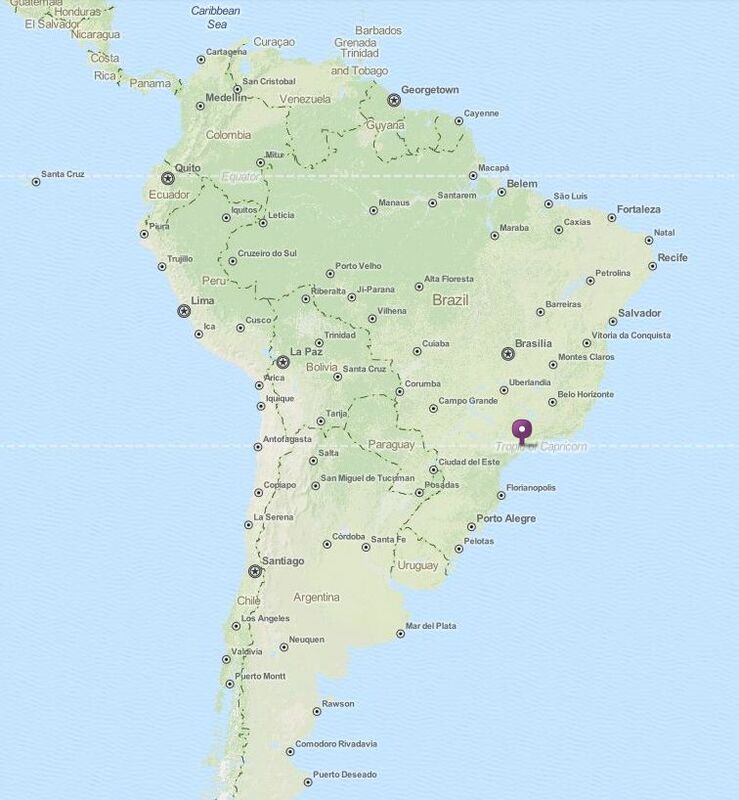 This entry was posted in Brazil, Exhibitions. Bookmark the permalink. 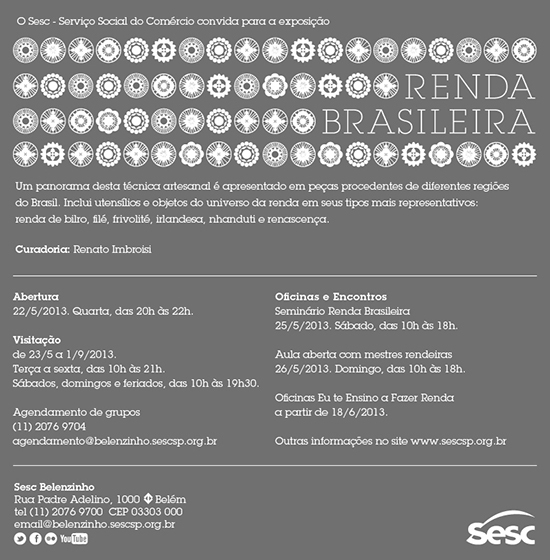 It is a wonderful chance for us to learn more about Brazilian lace.